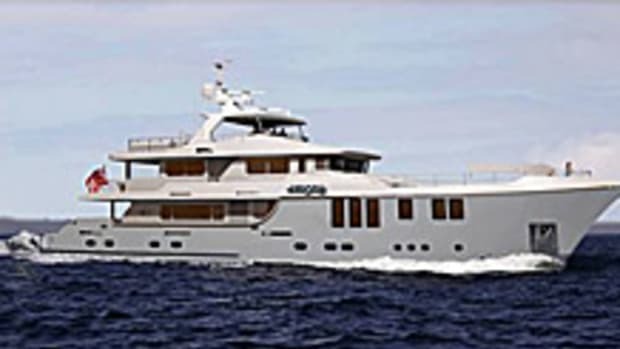 Boating enthusiasts will gather at Trawler Fest, the cruising-under-power lifestyle celebration produced by PassageMaker Magazine Jan. 29-31 at the Bahia Mar Beach Resort and Yachting Center in Fort Lauderdale, Fla. Boat show hours are 10 a.m. to 5 p.m. the first two days and 10 a.m. to 4 p.m. the closing day. The event, a combination boat show/rendezvous/seminar, will feature more than 40 exhibitors showcasing a variety of boating products and services. More than 40 boats will be on display, allowing for attendees to board the vessels. Debuts include the Symbol 56 Yachtfish, an expansion of the 55 Classic. For attendees interested in furthering their knowledge, a first class lineup of seminars are available daily from 8:30 a.m. to noon. Seminar topics include Trailering and Trawlering, Crossing the Gulf Stream: Bahamas Bound, All About Anchoring, Ladies and Gentlemen: Meet your Electrical Systems, and Guidance for Getting Under Way. Additionally, valuable hands-on activities will take place each afternoon and are free with admission. Some activity topics include: A conversation with Bruce Kessler, Field Excursion with Steve D&apos;Antonio, Life Raft Inflation and Presentation, Ladies Roundtable, and Knot-Tying. Trawler Fest concludes with an awards presentation honoring the People&apos;s Choice Award, Longest Distance Award, and the Passport to Prize. Trivia Night will allow attendees to test their nautical and Florida knowledge. Follow Trawler Fest on Twitter at twitter.com/Trawler_Fest for the latest news and updates. For details on pricing, exhibitors, travel and to register, visit trawlerfest.com or call (888) 487-2953.